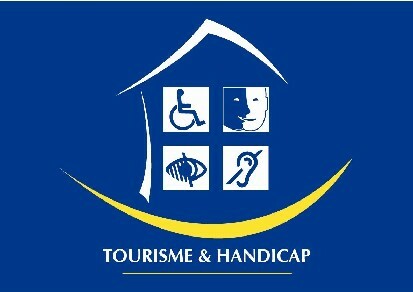 Group Home Family holidays in Auvergne. Roosts baby Discover receptions suitable for toddlers. Services + a selection of accommodation that offer services included in the price! Very favorite The 'Favourites' are minimum accommodation classified 2 ears, with special interests such as an exceptional environment, a remarkable built, an atmosphere, a very good comfort, personalized service. Gîtes de France of Year The contest of the 'House of the Year' award Gîtes de France accommodation : lodging, bed and breakfast or self-catering group. The winner, who must comply with the Charter and the Criteria grid 'Gîtes de France', is rewarded for the originality of his work or the work done, the importance of this Action and Its Regional effects and the quality of resources used and results obtenues. Living Snow in Auvergne Why not try a ski holiday in Auvergne! And if you do come ski Auvergne ... Auvergne is a beautiful wilderness, a region of nature to many ski resorts. With six mountain ranges, Auvergne knows fill enthusiasts snowy slopes, qui'ils large or small, experienced or amateur. Planiffier for your skiing holiday in Auvergne , you can rely to address gites and cottages in Auvergne selected by Gites de France Puy-de-Dôme. Farm Holidays in Auvergne Like nature, animals, scenery enchanting? Fall for a trip to the farm! Between lakes and rivers, the Auvergne is indeed a region extremely rich in natural sites for fishing, known for its clean rivers . Around these sites, incredible landscapes await you. Adepts fishing : Here is a selection of fishing lodges , all located within 10 km of an Pech e, with appropriate equipment and managed by owners qualified and available. Motorcycle Auvergne A personalized services with more just for bikers. Cycling and Mountain Biking in Auvergne Auvergne, an ideal for cycling and mountain biking. Hiking Accommodation ideally located to go hiking and exploring the beautiful landscapes Auvergne. Talents and Passions Owners share their passion with you. The Panda gîtes In the Puy-de-Dôme, two regional parks, with remarkable natural. Ecogesture Eco environmental efforts, you'll love these addresses. Ecogîtes Cottages, bed and breakfast or lodgings Group Ecogîtes, environmental qualification Gîtes de France. Top of the Range Holiday in an exceptional setting, a mansion, an old stone house, with high-quality amenities. Unusual accommodation Treehouse, loft to stay original and exotic. Accommodation with pool We have selected for you the address pool. from Capacity : Between 1 Pers. 2 Pers. 3 Pers. 4 Pers. 5 Pers. 6 Pers. 7 Pers. 8 Pers. 9 Pers. 10 Pers. 20 Pers. 50 Pers. to And2 Pers.3 Pers.4 Pers.5 Pers.6 Pers.7 Pers.8 Pers.9 Pers.10 Pers.20 Pers.50 Pers. We have selected for you the address pool. Accommodation ideally located to go hiking and exploring the beautiful landscapes Auvergne. Cottages, bed and breakfast or lodgings Group Ecogîtes, environmental qualification Gîtes de France. Treehouse, loft to stay original and exotic. A personalized services with more just for bikers. In the Puy-de-Dôme, two regional parks, with remarkable natural. Like nature, animals, scenery enchanting? Fall for a trip to the farm! Auvergne, an ideal for cycling and mountain biking. Eco environmental efforts, you'll love these addresses. Owners share their passion with you. The contest of the 'House of the Year' award Gîtes de France accommodation : lodging, bed and breakfast or self-catering group. The winner, who must comply with the Charter and the Criteria grid 'Gîtes de France', is rewarded for the originality of his work or the work done, the importance of this Action and Its Regional effects and the quality of resources used and results obtenues. The 'Favourites' are minimum accommodation classified 2 ears, with special interests such as an exceptional environment, a remarkable built, an atmosphere, a very good comfort, personalized service. Holiday in an exceptional setting, a mansion, an old stone house, with high-quality amenities.